Enjoying a day at the beach..after we cleaned up all day ofcourse. We all enjoy a beautiful beach with palm trees, but where do we walk on and swim in? Would you walk on a beach that is full of trash and still enjoy this view? Would you swim in a sea where there are more microplastics than fish..and where water and organisms are sick by all we do to it? No, ofcourse we wouldn’t. But we all accept it. World wide beaches are piled up with trash, some on deserted islands and others more known. There are the most inefficient techniques to let it look like it is all okay. For example in Bali they dig holes in the sand every morning and dump all the trash in it. Thát is nasty. Bathing, laying and walking in trash. So the magnificent view of the sanded beaches with the sun going down or a beautiful rainfall crashing in the waves..we love it and we need to keep it. 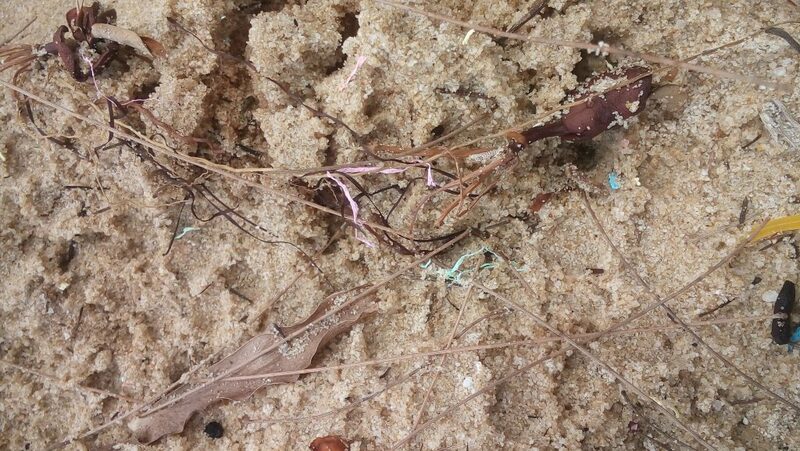 Because there is so much plastic in Cambodia, there is a lot on the beach and in the water too. 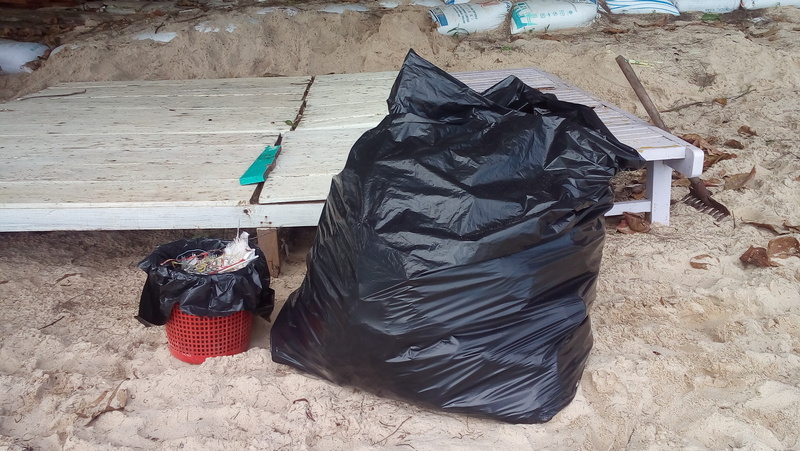 We saw some plastics nearby at a part of the beach..and we cleaned it up for hours. From morning ’till evening we picked up (almost) every piece of plastic up and threw it in a huge trashbag. Why it took so long? Because there were all these damn tiny bits of plastics we had to collect. And what could we do? Just leave it there? Yeah, sure relax. Relax while people get sick by all the plastics in their food. Relax while the fish are dying painfully and the sea is getting empty because all of it gets intoxicated and dies. Sure, let’s do that. If you see trash somewhere, pick it up. Especially in countries like these where rainfall washes all the trash of the streets into the rivers and sea. Even if you pick one up, you make a change.